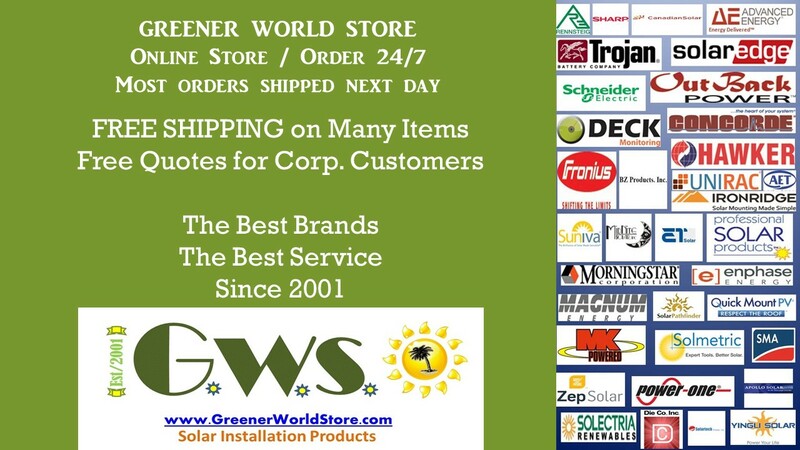 MC4 Solar Panel Wires GreenerWorldStore precision built MC4 Solar Panel Wiring Cables MC4 Connector Both Ends of USA Made Premium Solar Panel PV Wire Cables MC4 Solar Connectors Snap Together for Weatherproof Connections. Using GreenerWorldStore Solar Power PV wires will ensure safe interconnections between Solar Panels - Solar Charge Controllers - Solar PV Battery Banks that require MC4 style solar connectors. All our MC4 Solar PV Extension cables are Shipped Free to most USA locations. We can provide any lengths and any quantity MC4 solar PV cabling that you may need. We will gladly ship to home or business quickly and accurately. Use code "newvip" at checkout for additional BONUS!